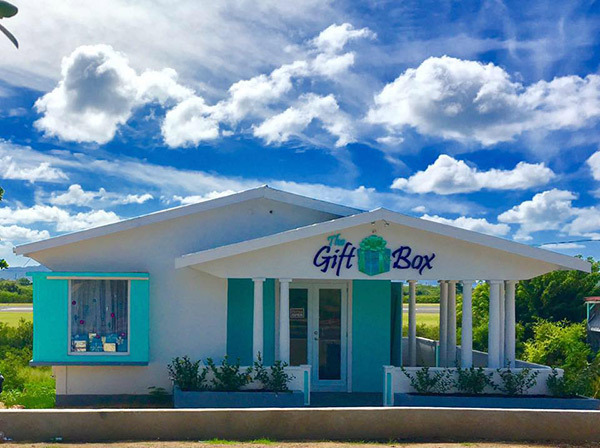 The first of its kind on Anguilla, The Gift Box is part of the expanding shopping scene on the island! With vibrant blue accents popping off the pristine white building, you cannot help but notice this addition on the main road, just before the ever popular Roti Hut. The vibrant outside of the building can only be outmatched by the welcoming smile of the owner, Olivia Lake. 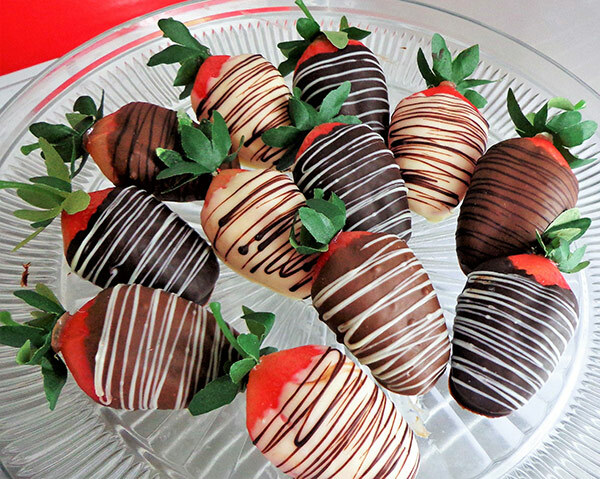 A full time teacher, Olivia enjoyed creating and selling fruit bouquets and chocolate covered strawberry arrangements out of her home. These wonderful creations have been bringing happiness to others since December of 2010. After more than 5 years of balancing two careers, Olivia made the leap from teacher to full time business owner of The Gift Box. 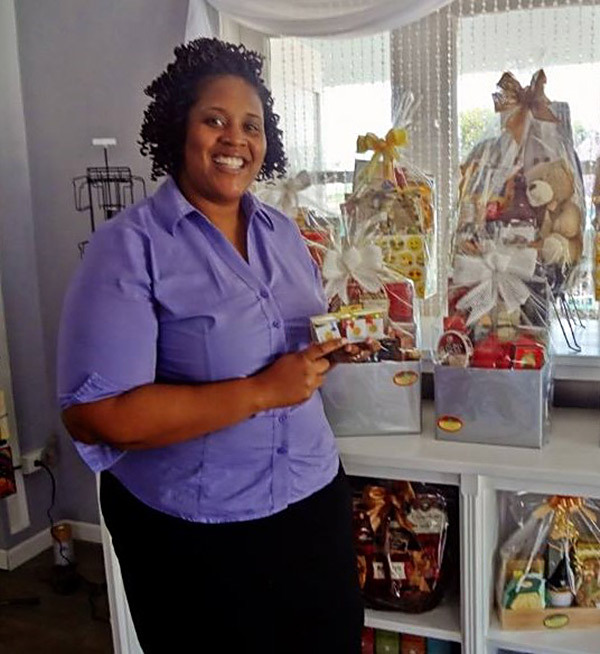 With the help of her husband and business partner, Marlon, her dream was realized in just a few short months. Opening their doors on December 10, 2016, clients have been delighted by the variety of high quality items and amazing gift baskets that Olivia and her team are passionately creating. 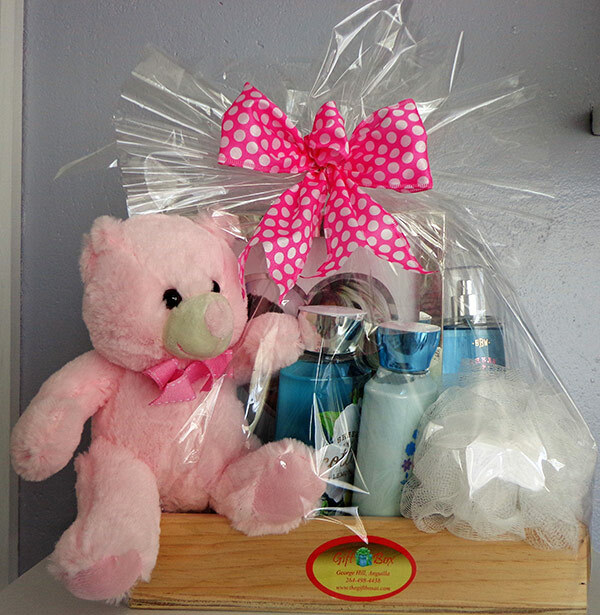 The Gift Box provides a solution for all your gifting needs from babies and birthdays to anniversaries and welcome baskets. You can even get a basket for the dog! 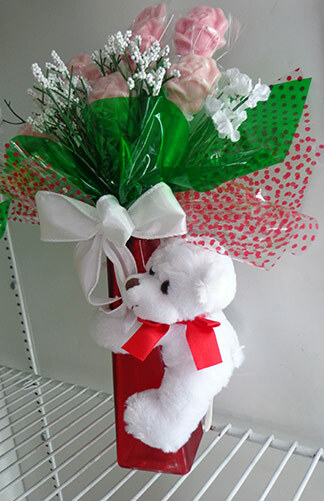 A Beautiful Way to Say "Happy Valentine's Day"
With her "Originals" and "Baskets For Occasions" flying off the shelf, Olivia has expanded her offerings. If you didn’t find exactly what you are looking for, just ask Olivia. 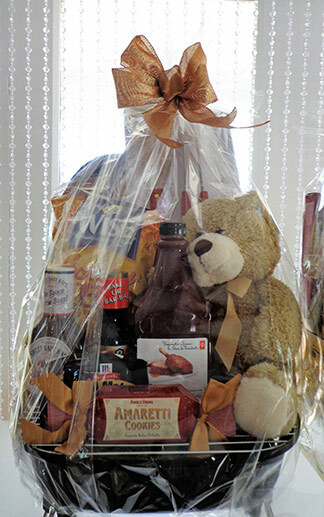 With 24 hour notice, The Gift Box team is happy to design the perfect gourmet basket or arrangement. They can even personalize your basket. Olivia’s face lit up as she described a recent request from a guest celebrating her anniversary on Anguilla. Excited to express her love in a unique way, she requested that Olivia create a basket full of nuts. With an arrangement of almonds, cashews, pistachios, macadamias, peanuts, walnuts, pecans and dried fruits (some covered in chocolate), a perfect basket was created and delivered with the message… "I’m Still Nuts About You." As Olivia shared this experience with me, I looked around her office which doubles as a stock room and took in all the possibilities. They seemed to be endless. 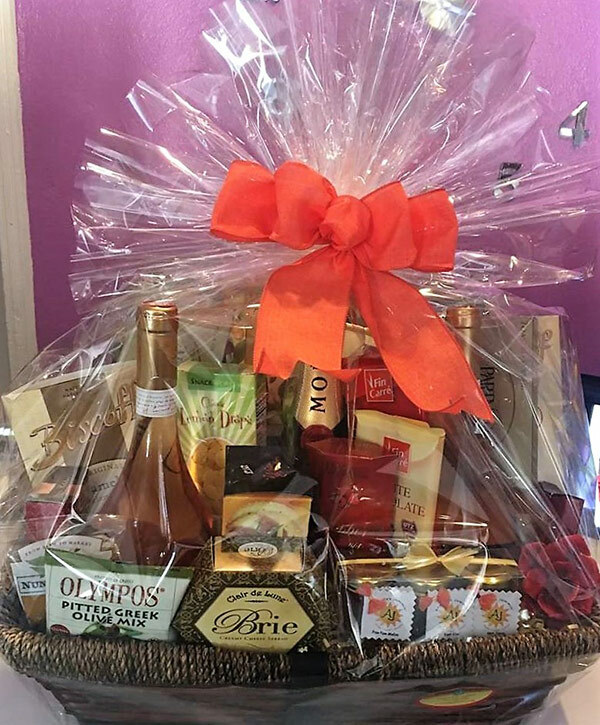 Baskets can be made with a vast array of gourmet cheese and cracker pairings, wine, champagne, pretzels, chocolates, cookies, locally-made products and inspirational quotes on glass cutting boards, mugs and plaques. Diffusers - Enjoy the mist of essential oils in your home or office. The modern wood finish and frosty glass vessel provide an elegant look for any room. 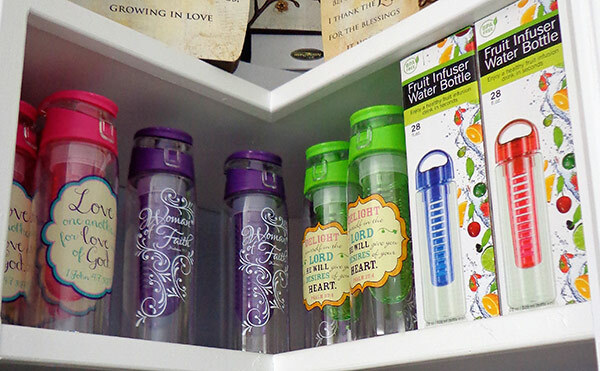 Infuser Water Bottles - Adding cucumber, berries, lemon or lime to your water is easy with these bottles. A fun and natural way to enjoy your water every day. 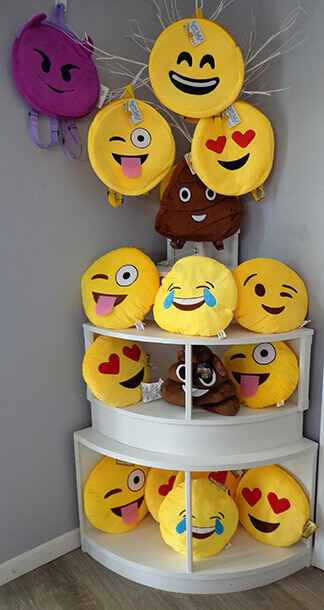 Emoji’s - No longer just for social media, express yourself with these adorable pillows, keychains and insulated cups. The Gift Basket truly has something for everyone. With gifting ideas starting at just $1 USD and pre-designed options available all the way up to $300 USD. With all the great options The Gift Box brings to Anguilla, there is one more thing, they even deliver. So if you are looking to surprise that special someone just call Olivia!